Ruby was saved from the pound shortly before her life was to be ended. 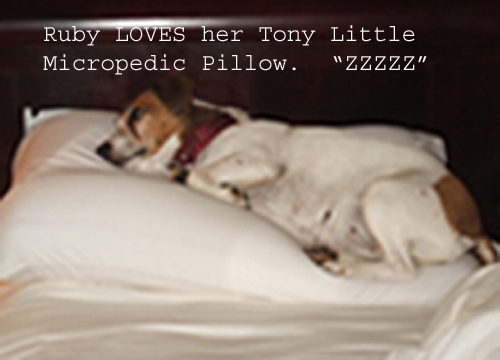 Her new owners found that she loves the Tony Little Micropedic Pillow. Now, she really has a dog's life as she sleeps soundly on her Micropedic Pillow.